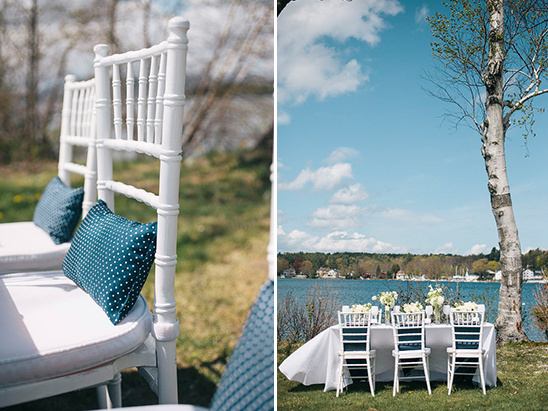 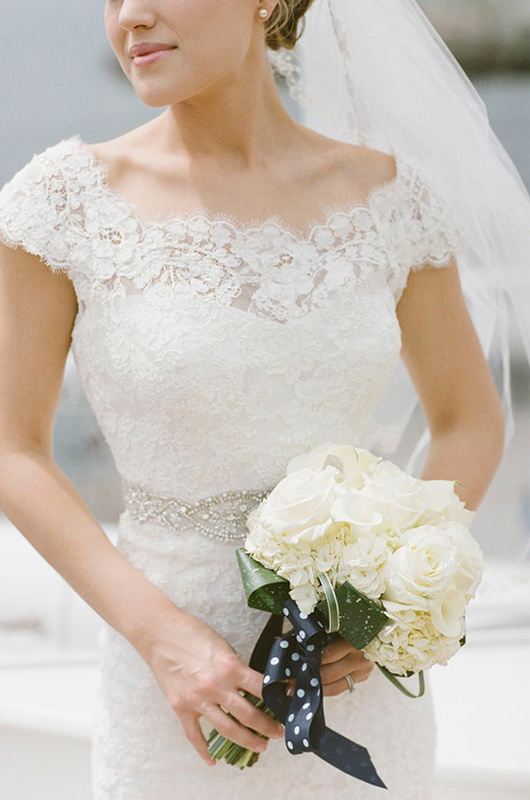 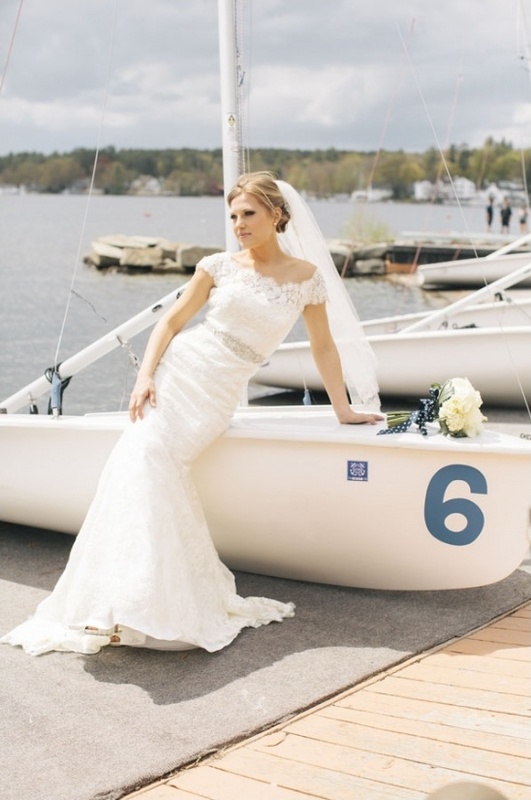 Set on the shores of Lake Winnepesaukee atÂ Brewster Academy inÂ Wolfeboro, New Hampshire, this beautiful wedding inspirationÂ is perfect for the preppy bride. 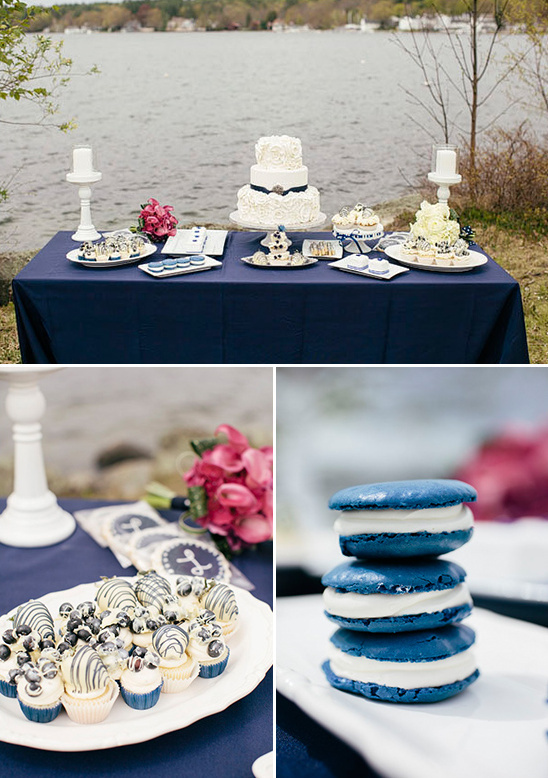 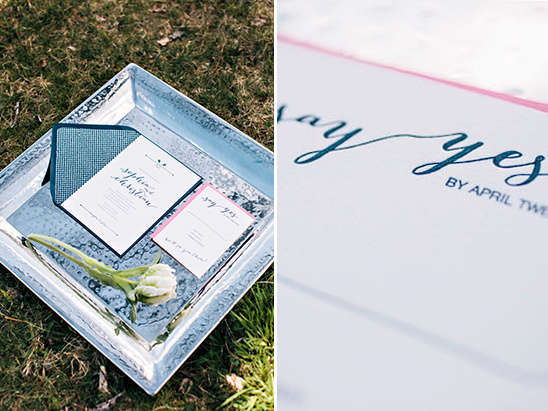 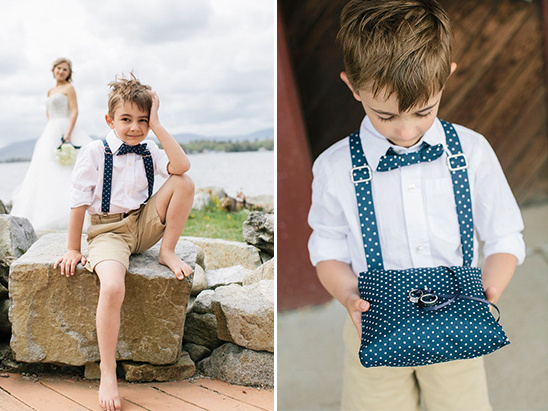 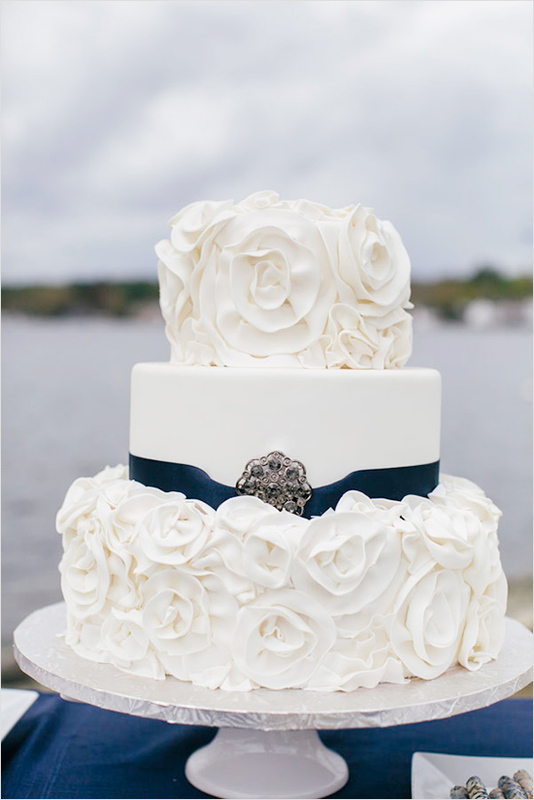 Using a simple color palette of navy and white with polka dot accents, Mindy Rossignol of Private Weddings and Events created a nautical-theme that was carried through this lovely photo shoot from the invitations to the ring bearer attire to the dessert table. 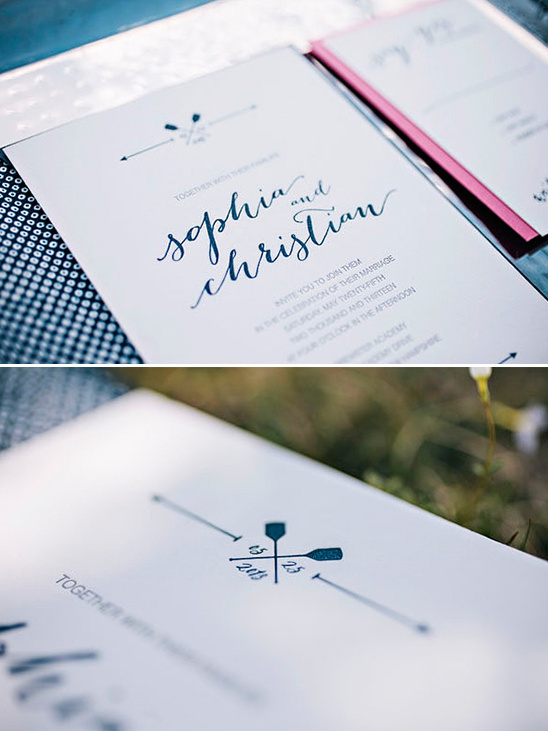 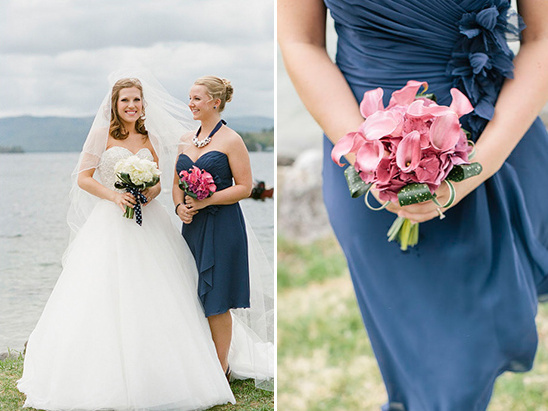 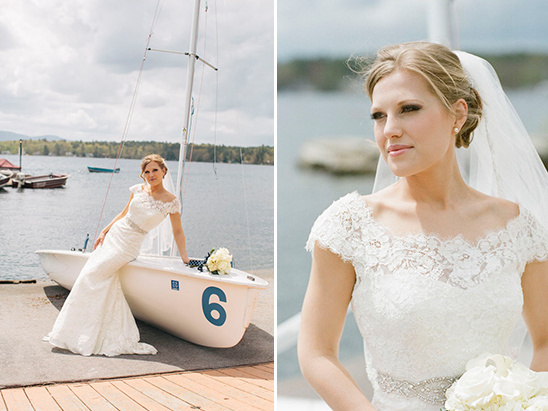 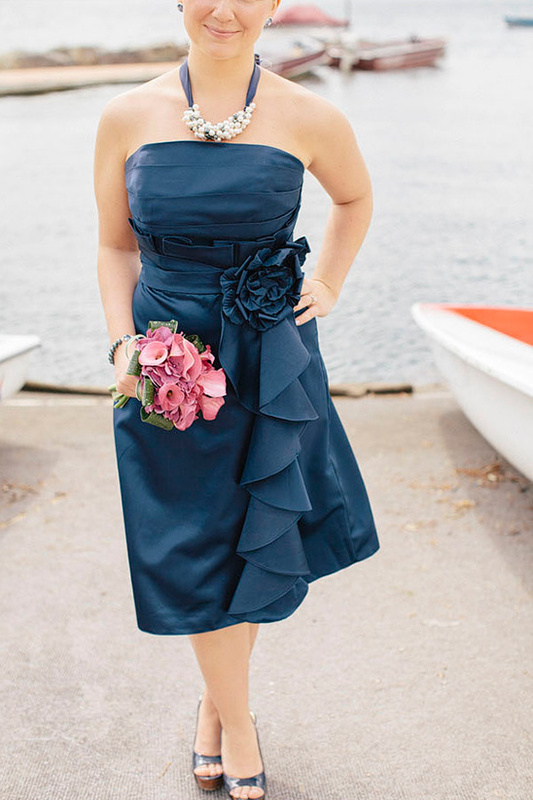 As always, you can view more of the beautiful imagesÂ Kate Preftakes Photography captured of this nautical lakeside wedding inspiration in the full gallery here. 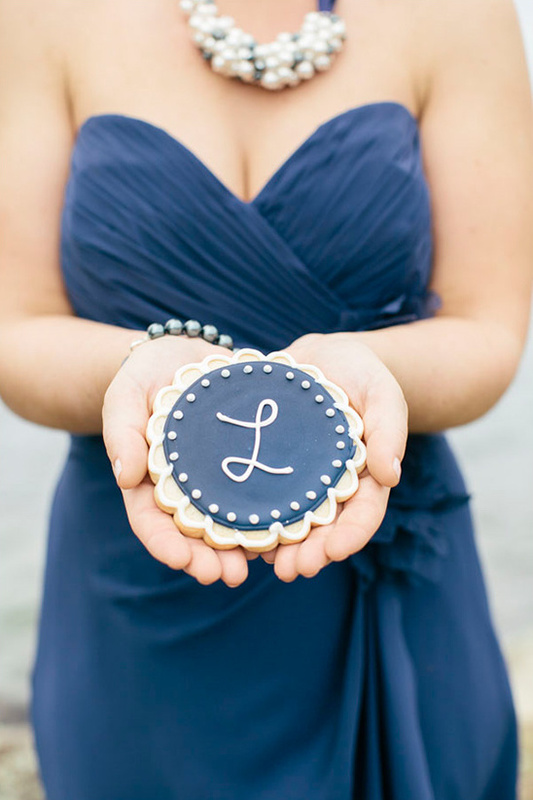 We love a signature drink...especially when it fits into the wedding color scheme! 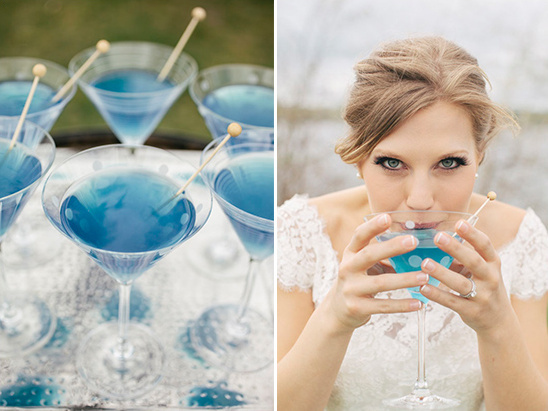 Check out the recipe below for a blue cocktail you can try at your wedding. 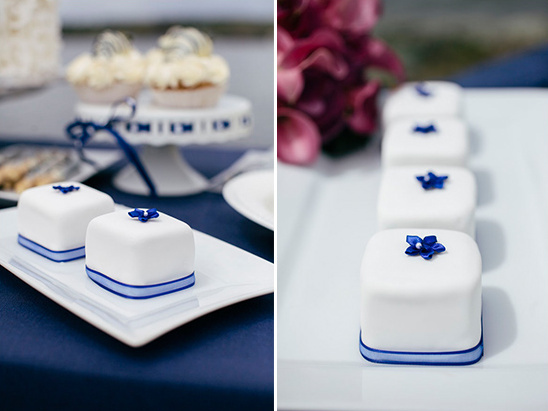 Â½ oz Blue Curacao Orange twist to garnish. 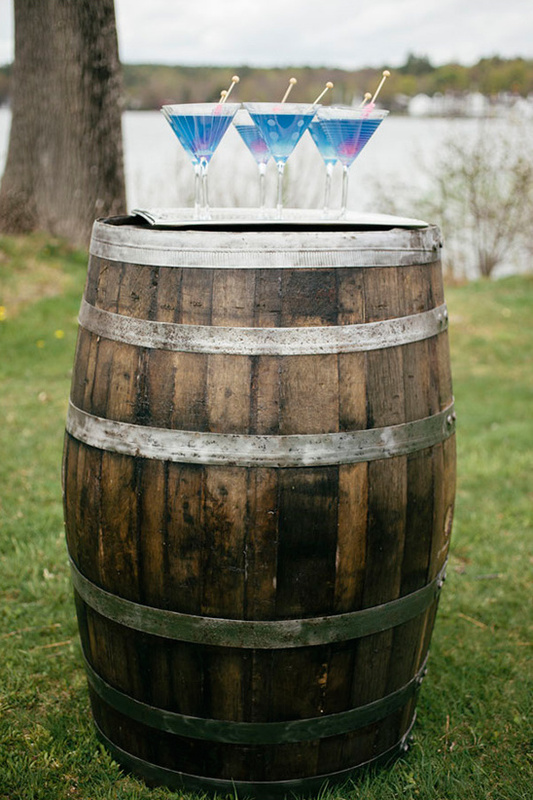 Serve in martini glass. 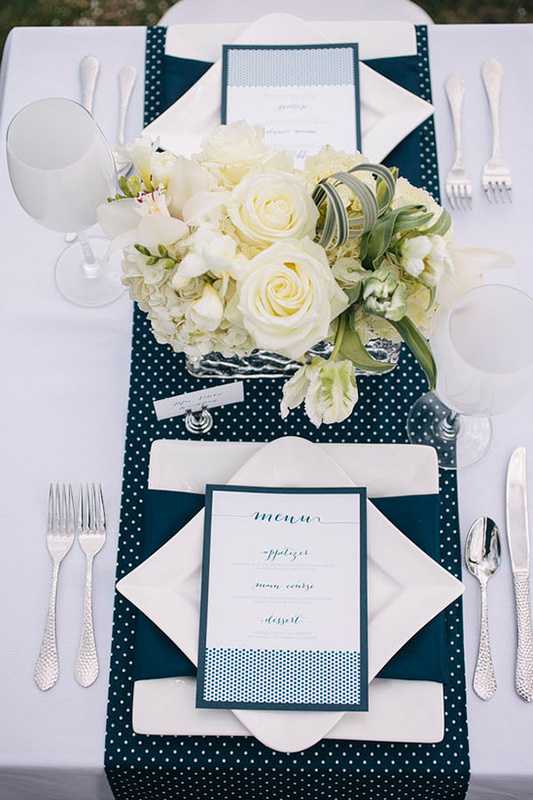 The navy and white polka dots Sara Tejada of Inkprint Letterpress used on the amazing invitation suite and menus was mimicked on the fabric table runners and pillows used in for the tablescape. 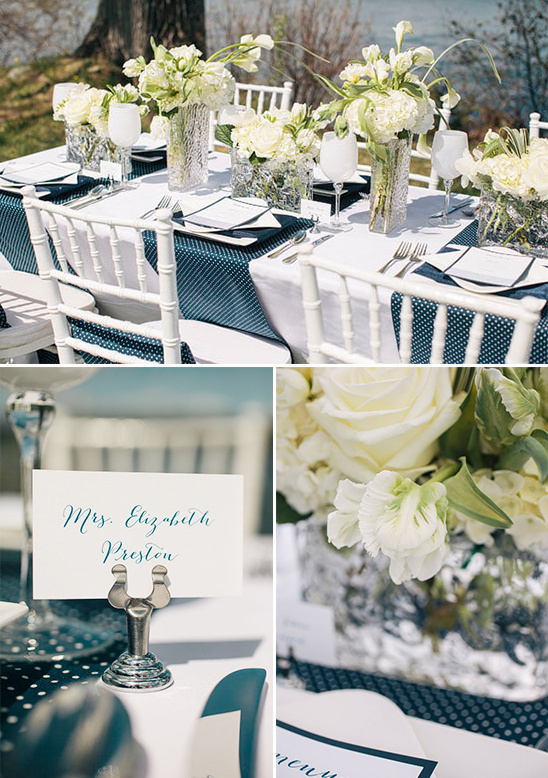 Harrington Flowers created beautiful centerpieces using white roses and hydrangeas that finished off the look.